Amazon.com description: Product Description: Now, the #1 nontechnical guide to next-generation wireless has been fully updated for tomorrow's technologies-and today's business realities. 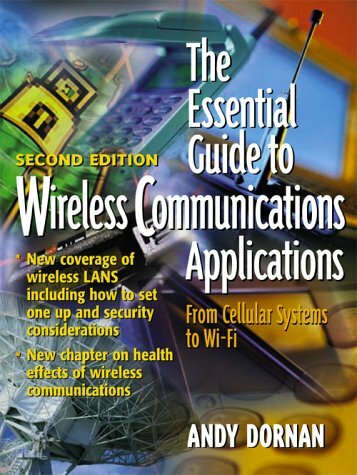 The Essential Guide to Wireless Communications Applications: From Cellular Systems to Wi-Fi, Second Edition, reviews every new wireless development that matters, from 3.5G and 4G networks to profitable m-commerce applications, WLANs to T-Rays. Includes specific business wireless buying advice, plus new coverage of the health issues surrounding wireless communications. About: Now, the #1 nontechnical guide to next-generation wireless has been fully updated for tomorrow's technologies-and today's business realities.